Israel prepares to host the US president. Obama to give speech outside Knesset as parliament hall not large enough. 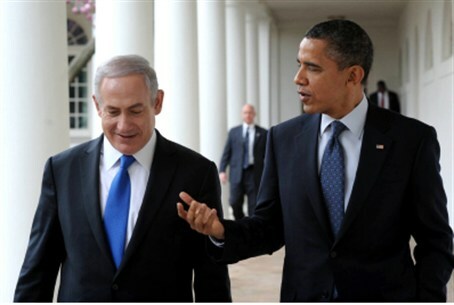 Israel is finishing the preparations for United States President Barack Obama’s planned visit in March. Plans for Obama’s visit include a trip to Yad Vashem and to Rabin’s grave, and dinners with Netanyahu and Peres. Obama will apparently not speak in the Knesset. His staff has requested that the venue chosen for his speech be large enough for a crowd of 1,000 Israeli citizens, which the Knesset is not. Instead, Obama may speak at the Binyanei Hauma conference center in central Jerusalem. His trip will begin with an official state welcoming at the airport, complete with a red carpet and a line of high-ranking Israeli officials. Obama, Prime Minister Binyamin Netanyahu and President Shimon Peres will all give speeches at the airport. Afterward they will travel to the Yad Vashem Holocaust memorial center in Jerusalem, where Obama will lay a wreath in memory of Holocaust victims. It has not yet been decided whether Obama will speak at Yad Vashem as well. He will then visit the graves of Zionist visionary Theodore Herzl and slain Israeli Prime Minister Yitzchak Rabin. In the afternoon, Obama will meet with Netanyahu. After the meeting the two are expected to address the press. The next day, Thursday, Obama will travel to Ramallah to meet with Palestinian Authority Chairman Mahmoud Abbas. He will return to Jerusalem in the afternoon and will tour several sites with Netanyahu, including an installation of the Iron Dome rocket defense system. Obama will give his main speech on Thursday evening. On Friday, Netanyahu and Obama will meet a second time, then travel together to the airport for an official farewell ceremony. Netanyahu has welcomed Obama’s plans to visit. “This is a very important visit that emphasizes the strong ties between Israel and the United States,” he said at Sunday’s Cabinet meeting. Netanyahu said his discussions with Obama will focus primarily on three subjects: the dangers of Iran’s nuclear program, the unrest in Syria, and negotiations between Israel and the Palestinian Authority.